For most car enthusiasts, there's a good chance that you spent a large amount of your early years playing with toy cars on a carpet with a generic city map printed on it. Sofas and other furniture made for interesting race courses as you raced your little brother's or sister's toy car. As we get older, our toys get bigger. You have a bone stock Miata sitting in your driveway and you want to re-live the glory days of racing your sibling around "45 Boulevard St Motorsports Park". This blog is aimed as a guide on how to build the perfect track car for someone who has never driven a car in a high performance driving environment. This guide also applies to most cars, not just Miatas. Most OEM (Original Equipment Manufacturer) or equivalent brake pads are intended to work best at lower temperatures that you see during regular daily driving. They are also designed to last tens of thousands of miles of continuous stopping that you do on a daily basis. If you were to expose any brake pad to the hard repeated braking cycles that you see on a race track, you will see high brake temperatures that you will never reach on the street. OEM like brake pads are usually not able to cope with the increased temperatures and begin to loose braking power. It isn't fun when you're flying down the back straightaway of your local track, start to brake for an upcoming corner, and you realize your brakes are cooked... especially when it is your first track day. Lighter and less powerful cars like Miatas and CRXs might be able to get away with OEM pads on the racetrack... BUT there are a lot of variables. Vehicle power to weight ratio, elevation changes, straight away length, and racetrack layouts are all factors that can lead to your brakes getting hotter. Talk to people who have driven that track before and get their advice on whether or not you need to switch to a more durable track duty brake pad. Although I would highly recommend upgrading for safety's sake. If you were to do only one modification to your car before a track day, high temperature DOT 4 brake fluid is what I would recommend. OEM like DOT 3 fluids usually cannot cope with the extra heat that racetrack abuse creates. You can tell if your brake fluid is going sour at the track if your brake pedal starts to feel mushy. If your brake pedal starts to get mushy, do a cool down lap or two and go back into the pits to let the brakes cool. Never park at the track with the emergency brake. Use wheel chocks or put your car in gear or else you might weld your hot brake pads to the rotor. Yes it does happen! Do your own research to see which brake fluids work best in your car. Every car has different needs, different materials in the braking system, which reacts differently to different fluids. You don't want to choose the wrong fluid only to find out the new brake fluid is eating away at your rubber hoses! 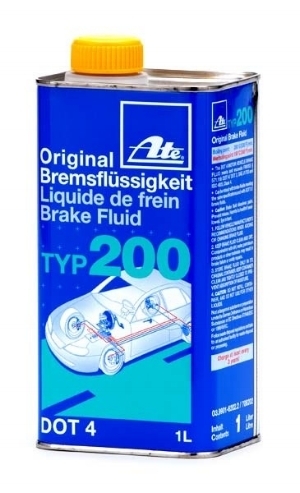 I personally use ATE Type 200 brake fluid in my turbocharged Miata track car. Stainless steel braided brake lines are a widely accepted upgrade over OEM rubber lines. The rubber lines are reinforced, but stainless lines expand less and heck they look prettier. One disadvantage of Stainless steel lines is that it can be tough to foresee when they are reaching the end of their life. Rubber lines tend to bulge when the materials inside start dying but stainless steel lines don't bulge at all. So it would be wise to replace them after a few years of use as preventative maintenance. As cool as it would sound to live by the race car and die by the race car, no one really wants to see you perish. Safety related mods like a roll bar, fire extinguisher, helmet, and "properly mounted" harnesses are all good ideas for a beginner or a seasoned veteran. It would be unreasonable for you to put a full fire suppression system in your stock Miata, but do whatever you can to make sure your day at the track goes smoothly. That also includes preventative tasks like having a pre-race day inspection list to make sure there isn't any failing or unsafe parts that would ruin your day. There are plenty of other guides online that can shed light on what to check on your car before you hit the track. Okay enough boring safety stuff, let's cut to the chase. I will reveal the secret formula on how to be the fastest beginner driver at your local race track! Ready? Drive! You don't need any more modifications! As long as your car is safe, you can go out to the racetrack or autocross course and learn how to drive fast! Many people do not realize this but it isn't the modifications that make the car fast, it's how the driver controls the car. You can have the most extensive build sheet in the county, but if you don't have the guts or skill to drive your car at the limit "smoothly", you will not be fast. Also there is no point in dishing out large amounts of dough on mods when experience and seat time is what really make you faster. The more of a beast you make your car, the harder it will be for an inexperienced driver to control it. A new driver will be bound to make more mistakes driving a modified car at its limits compared to a stock car. Even if you do make mistakes in a stock car, everything usually happens at a much slower and more predictable rate. It will be easier to control, and you will more likely have a better learning curve if you are starting from scratch. Stock Miata doing its thing! Picture by Howard Shek. Don't get me wrong, modifications make cars faster. We produce and sell modifications and we stand by our products. But the driver has to be able to make use of those modifications. An ideal build would be to start out with a clean slate, and upgrade the car as you progress as a driver and max out different aspects of the car. You don't upgrade your shoe size whenever you feel like it. You upgrade your shoe size when you outgrow your old ones. It's the same with your car. So when Spring of 2017 comes around, I don't want to hear anyone say they can't go to the track or autocross event because their car is slow and stock. Just drive! After all going to autocross or track events isn't about coming in first. It's all about having fun and going home with the biggest, cheesiest grin on your face. Liked this blog entry? Agree or disagree? Share your thoughts in the comments section! Wow March was the last time I updated the blog? I've been spending too much time on our Facebook page! Anyways... if you've been following along, you might remember that R Theory Motorsports was working with Speed Academy to make a new custom battery tie down bracket for their BADASS 2000 project car. Well, that project is complete and it's now on the car. Check out the video in the link below! If you have been following our Facebook page, Instagram, or Email Subscription, you might have heard that R Theory Motorsports took on a project to help contribute to Speed Academy's BADASS2000 build. Long story short, I talked to Dave from Speed Academy and I designed a cool looking battery tie down for his S2000, He loved the design, so it was up to me to bring that design into a reality. I took lots of pictures along the way to give you a behind the scenes look at how parts are machined; specifically this BADASS battery tie down! 3D Model of what I dreamed up in Solidworks. First I started out with a raw block of aluminum, a little bit bigger than the bracket in all 3 dimensions. I didn't take any pictures of the raw aluminum, but it pretty much looks like this. The block of aluminum is put in a vise that I set up in the CNC 3 Axis mill, then it's quickly roughed into shape. It isn't cut to the exact sizes yet. It is roughly similar to the finished product. Needs a bit more work. After being roughed out, the sloped ends of the bracket were milled. Starting to look close to the finished product! If you look closely at the last two images, you can see a raised section of aluminum in the middle of the bracket. This is where the BADASS2000 characters will start to appear with some more machining. A very small tool starts to slowly cut away material to reveal the coolest feature of the part. After all that magic happens, the two holes on each end are drilled and the part is taken out of the machine and flipped over to mill the backside. When milling a part, ideally you program the machine to remove all sharp edges and burrs to create a nice looking part and minimizing time deburring a part by hand. But sometimes unusual geometry doesn't allow you to use your CNC tools to deburr the part. So on this part, most of the edges were deburred with files and sand paper. Then put into the sandblaster to give it a nice uniform look. Check out those nasty burrs! The part at the top is almost fresh out of the machine, very minor deburring was done. As you go further down the chain, more deburring was done, and eventually the last step which is sand blasting. This is what they look like after sand blasting. After this step, they're off for black powdercoat at Stripping Technologies Inc.
After powder coat the entire part is covered in a beautiful semi gloss black powder coat, including the top of the letters. This is not what we want, so I'll show you what I did to fix that. I put the brackets back into the mill, and used a tool with very sharp cutting edges to skim the top of the letters. This exposed a very beautiful aluminum face making each character glimmer in the light. Before and after skimming the top of the letters. And that folks is a behind the scenes look at how these parts were made. If you thought it was interesting, I would love to get more media in the future like video on how parts are made.